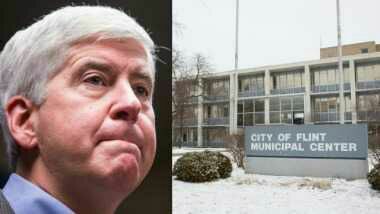 State workers in Flint got bottled water as crisis brewed! FLINT, Mich. (AP) — A state official says Michigan offered fresh bottled waterfor state employees in Flint starting in January 2015, although residents were told that tap water was safe to drink until last fall. Flint residents are now warned to drink only filtered or bottled water because of lead contamination in the city’s supply. Caleb Buhs, a spokesman for the agency that manages state buildings, says water coolers were introduced at the State Office Building after Flint flunked some drinking water standards that weren’t related to lead. Buhs says state employees in Flint can also use drinking fountains. A liberal group critical of Republican Gov. Rick Snyder released state emails Thursday describing how water was being provided to the building.